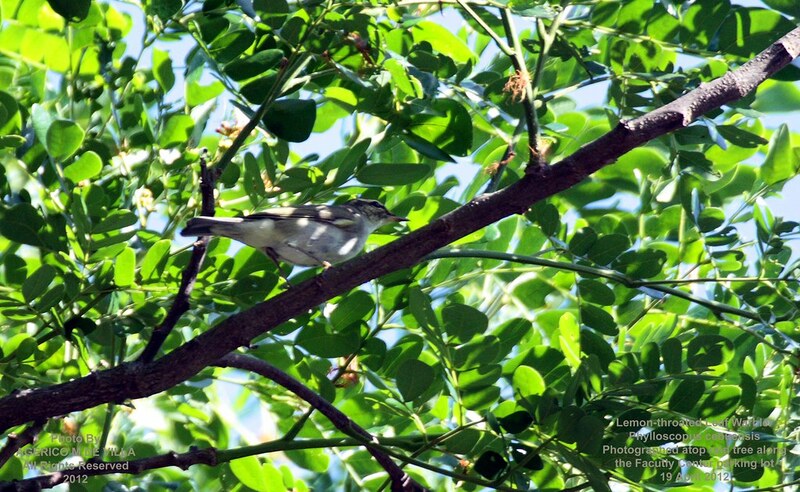 There is an individual lemon-throated leaf warbler going around a spot here at the UP Campus now. If anyone is interested, this is my number: 09920-923-3263. It is best to look for it early to mid morning. Cheers! 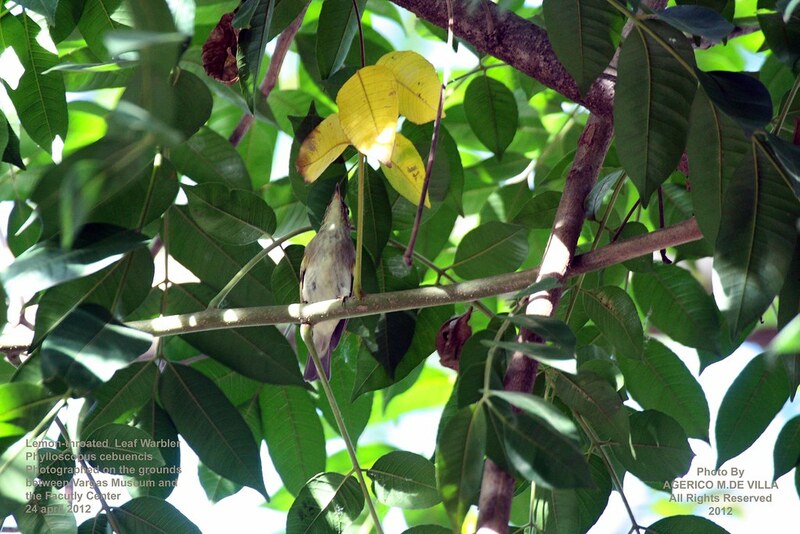 Got documentary photo of the lemon-throated leaf warbler this morning. Notice that the legs are not the same color as those of the artic warbler. 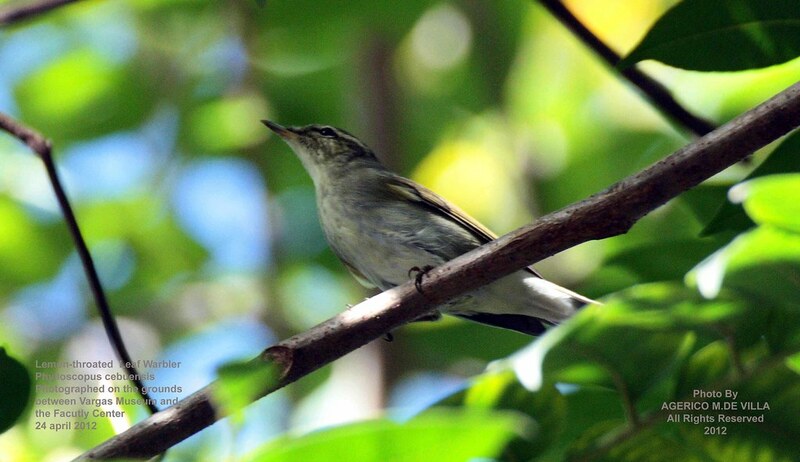 Desmond Allen has identified the bird as an arctic warbler. I still have to reply and send him the photos where he can clearly see that the bird has bluish grey legs. I also have a couple of audio recordings of the bird. Nevertheless, Des is the expert. My apologies to everyone. 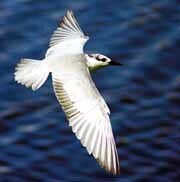 It is quite different from your bird, particularly the longer and less pointed bill.